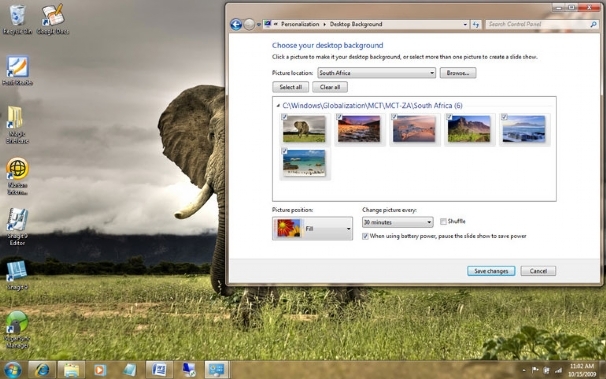 Windows 7 offers a good assortment of themes to customize the feel as well as the look of your computer. Windows 7 features particular themes which are based on the location and the language you select while you install the Windows 7. You can look for the location-specific theme in thePersonalize menu. You just have to right-click at any place upon your computer desktop. You will be able to get the couple of themes according to your location. In the search box of the Start Menu type this C:\Windows\Globalization\MCT. Your Windows Explorer will show you a window with additional themes. These will be from Great Britain, South Africa, Australia and Canada. You have the option to select the wallpaper only or you can install the whole theme if you want. You can also download many themes for Windows 7 from different website including the Microsoft official website. But you should first try to customize and access hidden themes in Windows 7 as you might not feel the need to download additional themes from elsewhere after that..